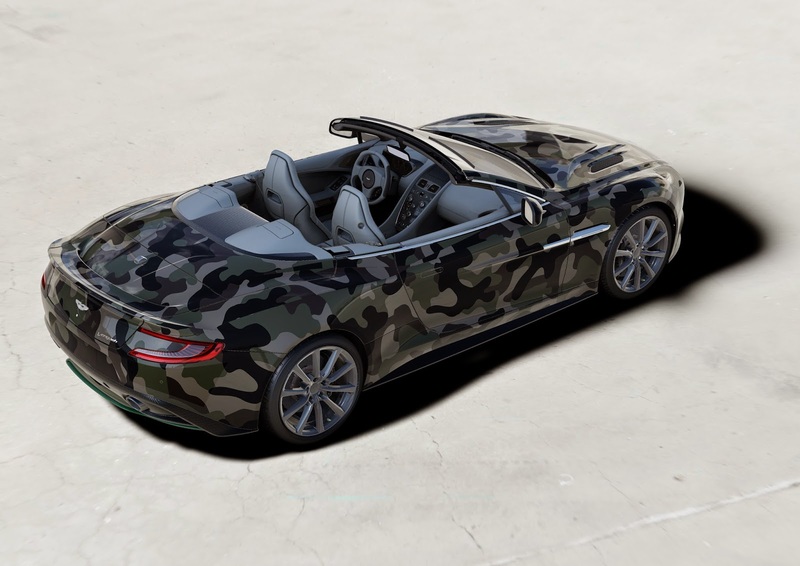 Any one who knows me will tell you of my love of Aston Martins – and Valentino, so this is a fashion match made in auto-heaven. 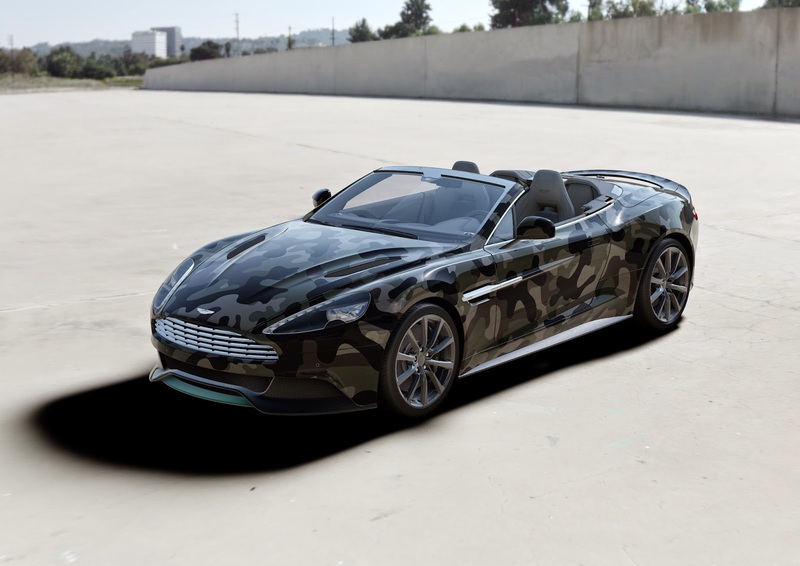 This special edition Aston Martin Vanquish has been commissioned for the 2015 Cash & Rocket tour, whereby 70 women will drive from London to Cannes via Paris and Milan in Aston Martins and Ferraris in order to raise money for three African charities. This year’s drivers include Chloe Green, Michelle Rodriguez, Elena Perminova, Arizona Muse and Jodie Kidd. The tour is sponsored by Valentino and Aston Martin and lasts for four days from the 15th May to 19th May. In celebration of the tour, Valentino design directors Grazia Chiuri and Pierpaolo Piccioli are partnering with world-renowned British luxury sports car manufacturer Aston Martin to create a unique Vanquish sports car through its Q by Aston Martin bespoke service. 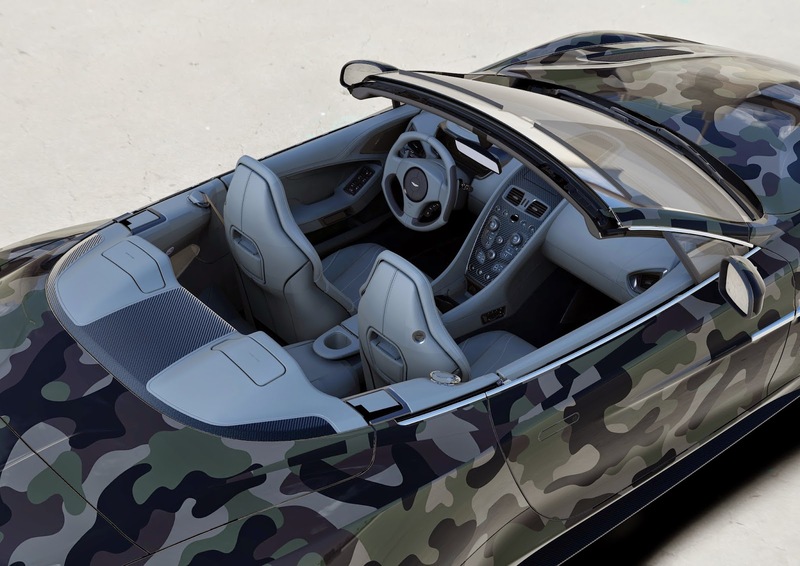 The exclusive sports car features the Valentino Camouflage livery and is further embellished with the brand’s iconic studs. The car will be auctioned during the Cash & Rocket opening Gala Dinner this Thursday in London, with proceeds donated to the charities involved. Had I won this weeks lottery, I would be bidding but alas, all I have to give is my best wishes to the competitors and the winning bidder.